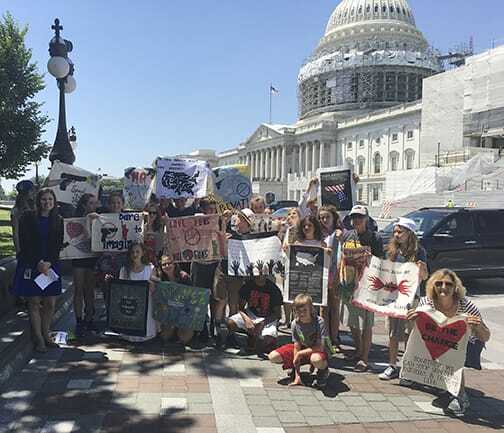 Ashland Middle School students display Vision Quilt panels in our nation's Capitol and meet legislative leaders. More details below. 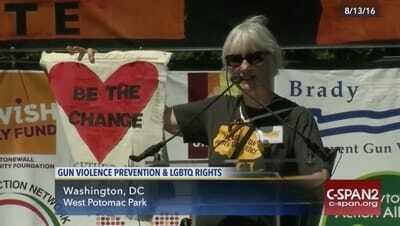 Founder Cathy DeForest speaks at the nationally televised Disarm Hate Rally. A joyous event as Chicago displays 60 panels made by youth and veterans. See full story below. ​​Vision Quilt works with communities in several ways: holding rallies, vigils, panel-making workshops and dialogues to empower communities to bring change to their own neighborhoods. Through this virtual scrapbook and our blogs we are creating a living document of our results. We hope to inspire others to join Vision Quilt as we stand up to gun violence. 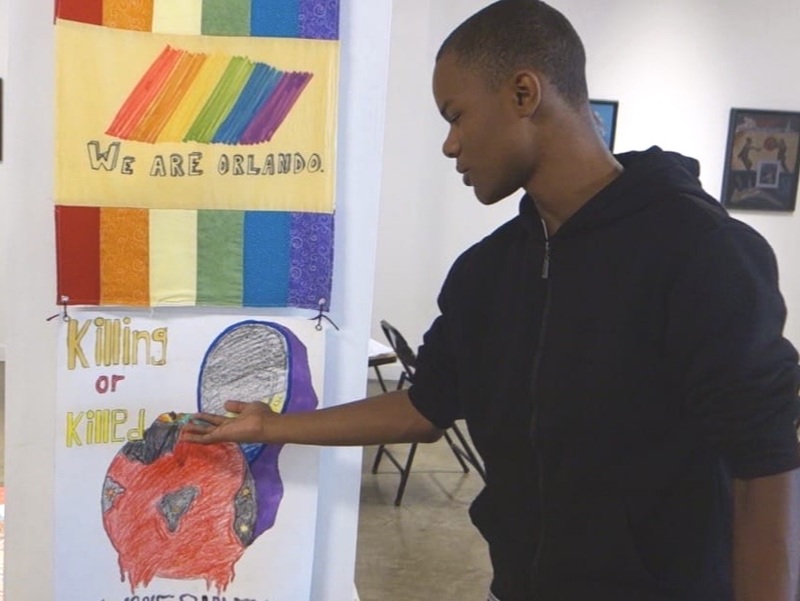 Middle school students at Lighthouse Community Charter School in Oakland, California make Vision Quilt panels after studying gun violence for three months during the school year. Read blog. 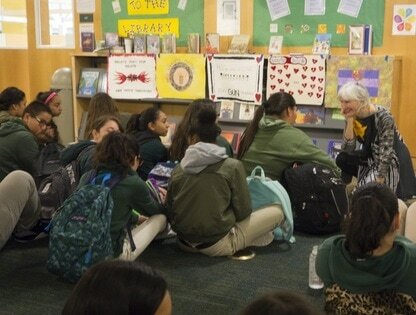 Founder Cathy DeForest talks with students about the project. Students shared how gun violence affects their lives and how their studies have changed their views -- watch video. Our latest video shows the Lighthouse students and their impact on the community in Oakland, California. 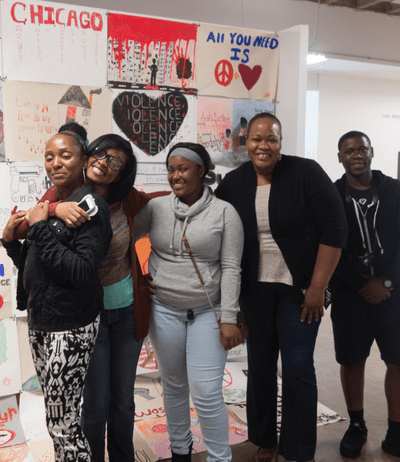 With the intention of creating local dialog and change, the students curated an exhibition at e14 Gallery in downtown Oakland. 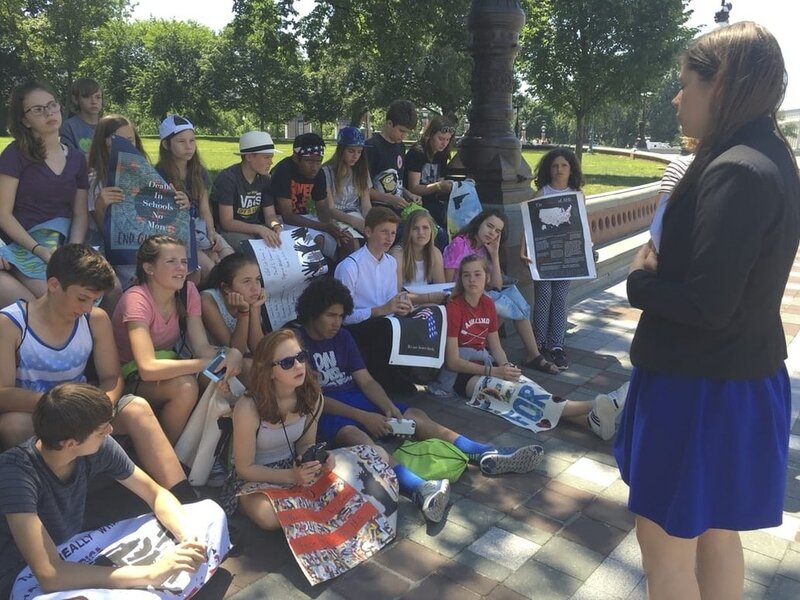 Students Display Panels for Leaders in D.C. 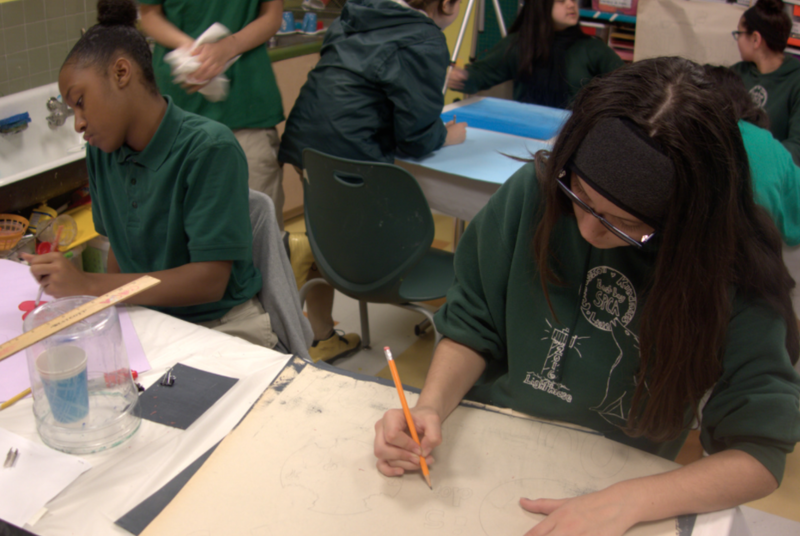 Working in partnership with the National Veterans Arts Museum, the Chicago Public Library and local youth groups, 60 young people create panels that are displayed at the museum. The students shared the stories behind their panels in a powerful blog you can read here or watch the video here. 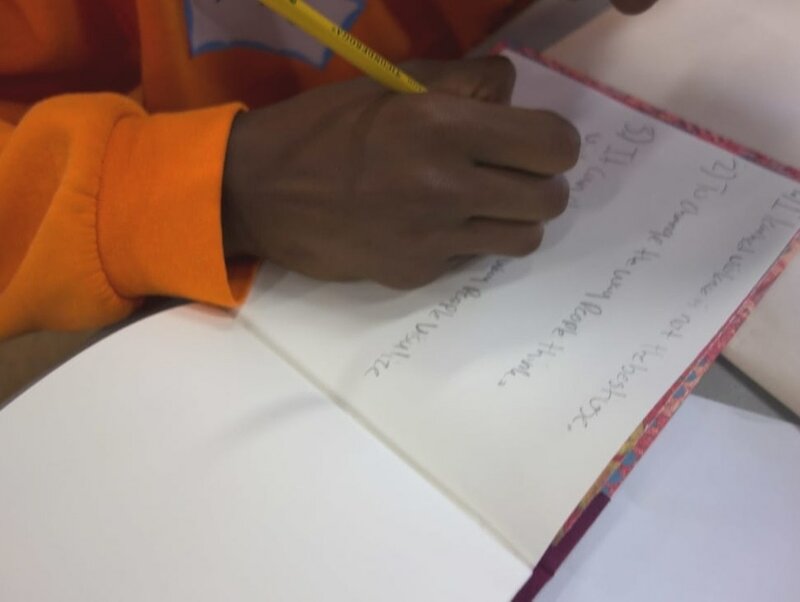 Several young men at Camp Sweeney near Oakland, California make panels and journal about their experience. 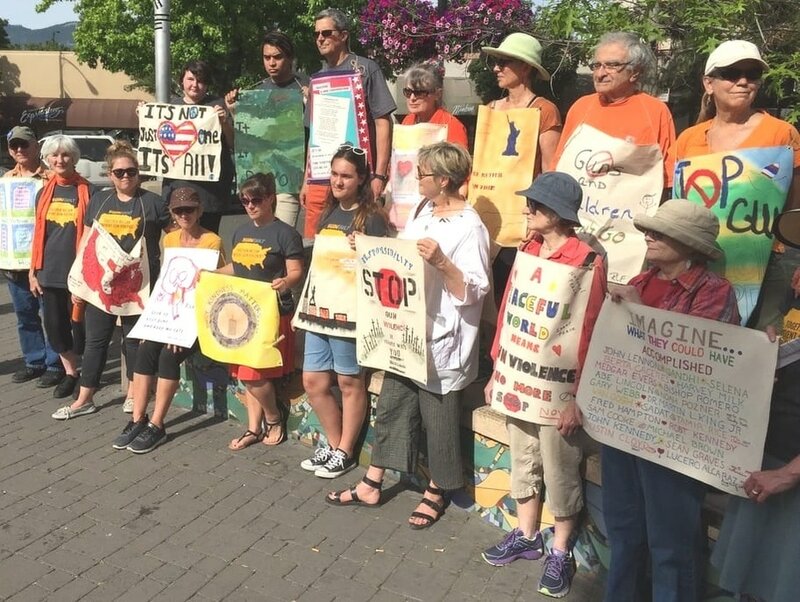 Vision Quilt brings people together in Ashland, Oregon for a day of awareness featuring music, art and dialogue about preventing gun violence. 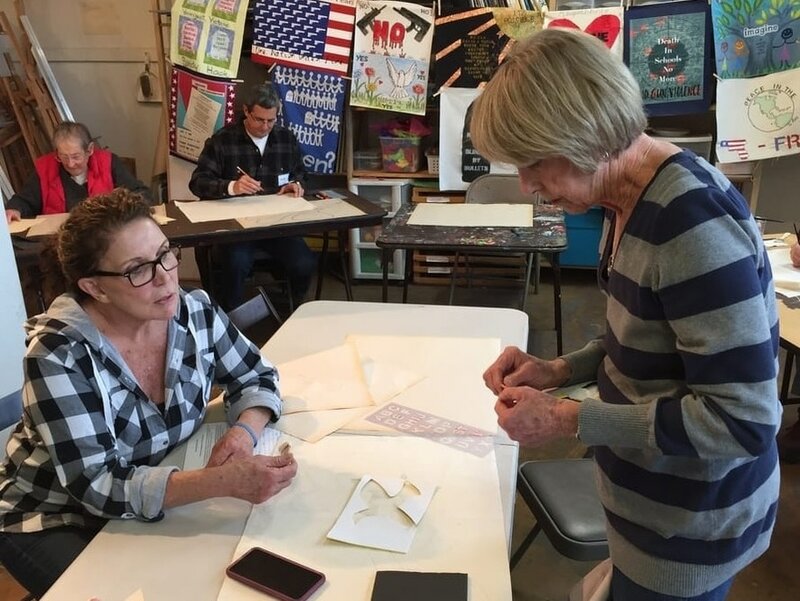 Workshops in seven states have generated more than 300 panels in Vision Quilt's first year. The panels have been displayed in schools, museums, places of worship. "There really ARE solutions to these problems, if only we could find the collective will to enact solutions." Donate to Vision Quilt to help us extend our work to more communities throughout 2017. Vision Quilt is a 501(c)(3) and all donations are tax deductible. The money is used to purchase materials for working with students, organizations and community members in creating individual panels and exhibiting the Vision Quilt.